Yiorgos Kaloudis is a classically trained cellist, Cretan lyra performer, improviser, composer, and producer at the DNA Classical Label. He has collaborated in numerous CD’s, films and Theatre Productions in the Greek scene. 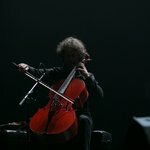 He performs regularly in concert halls, museums and festivals around the world and since 2014 he teaches Cello at the Athenaeum Conservatory, in Athens. Born in Athens, Greece (1973) from a musical family, Yiorgos Kaloudis’s first language of expression has always been music. 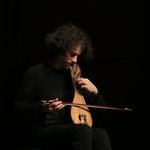 He started playing the Cretan lyra at a very early age, and continued the family tradition, being the fourth generation of native Cretan lyra players. His formal studies of the cello were completed at the Athenaeum Conservatory (Athens) where he graduated with honors. Yiorgos was awarded a scholarship by the Fulbright Foundation, providing him the opportunity to continue his studies in Los Angeles under the tutelage of Ted Greene in composition and improvisation; which further expanded his innovative techniques on the cello. His personal discography consists of his debut solo cd album entitled Truth (2005), followed by On the Wind (2009) with the generous support of the J.F. Costopoulos Foundation. Yiorgos Kaloudis’s new album, J.S.BACH: Cello Suites on the Cretan lyra (2016), has been officially released by the DNA Label Records in a world premiere recording. Here, he worked by maintaining the original tonalities of the work, in deep respect for the tone colour of the composer in attempting to avoid unnecessary changes in the music. What makes this last record so special is that for the very first time a Greek traditional instrument interpreted classical music. In addition to this, there is the particular lyra that he used to perform the music. 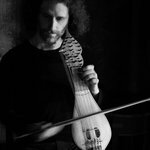 By mean of his Cretan background and his technical knowledge of the cello, he created an innovative Cretan lyraby adding to the traditional three-string instrument a fourth one, the low C of the cello. 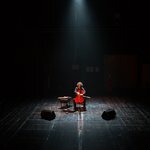 The result is stunning, as this lyra gives an impressive and unique character to the interpretation of the work of Bach, revealing the ancient relation to its great-grandson, the cello. Working at this project has been a longstanding effort and has taken twelve years of study and research before achieving it. It is due to his passion, commitment, his distinct approach to music, and the remarkable ability to honour the traditional Cretan lyra. 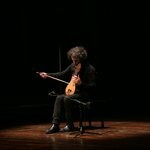 In March 2018, he presented the recital “Innovating Tradition”, in Athens, at the Megaron Concert Hall. In February 2018, he presented the recital "Innovating Tradition", in Cyprus, at Kastelliotissa Hall in Nicosia. In October 2017, he presented the recital “Innovating Tradition”, in Cyprus, at the archeological Royal Manor House in Paphos. In August 2017, the Regional Union of Chania and the Ephorate of Antiquities of Chania invited him to give the premiere recital of the “Innovating Tradition” at the reopening of the Ancient Theatre of Aptera, in Chania, after more than 2000 years of silence. In October 2016 participated at Paris “Nuit Blanche” Festival by playing extracts from the album J.S. Bach Cello Suites on the Cretan lyra. 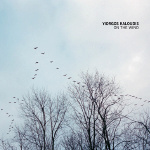 Yiorgos is also a frequent guest at many important music festivals all over the world such as the Fringe Festival in New York, Biennale in Rome, Manchester Jazz Festival. He performs regularly in numerous venues, cathedrals, concert halls and collaborations around the world, namely in England, Scotland, Wales, Russia, France, Germany, Austria, Spain, Portugal, Belgium, Cyprus, Netherlands, Switzerland, Czech Republic, Australia, USA and Canada. 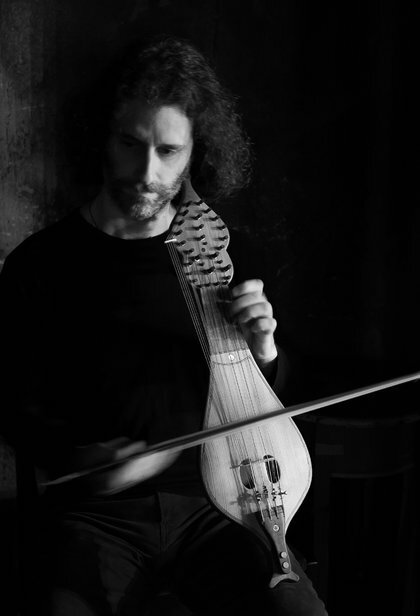 While performing, Yiorgos combines his personal technique and different cello and lyra timbres with an extensive use of live loop recording, which allows him to transport the audience in the Cretan landscape and create a particularly atmospheric soundscape, with elements of classical, ambient, world music.